Being in debt can be a very terrifying experience as it may get the best of you emotionally therefore it is important that you try and stay as positive as you can because only if you are in a positive mind frame will you be able to get out it. Unpaid medical loans are one way of getting into debt as hospital bills can cost a lot of money and therefore can be very difficult to pay back especially if you are unemployed, thus the first step to getting out of debt is to get a job. 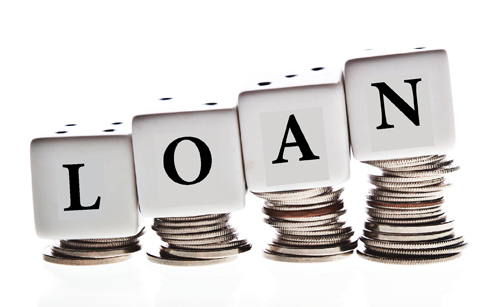 If you are not in a position where you can pay off your bond loans it is important that you do not panic. Panicking will only add to your stress and anxiety therefore although you may feel trapped you should try and remain calm. Being calm will allow you to think more clearly which would make it possible for you to come up with a solution to your financial problem. Being in debt can be a lot to handle and therefore you may have to talk about it to someone and while opening up to a friends and family is a healthy way for you to get out your emotions, you should make sure that you do not let everyone know that you are in debt. It is not necessary for you to let the whole world know your issues. It can also be damaging to you if a lot of people know that you are in debt as certain people might take advantage of your situation. Especially when you are facing a crisis it is vital that you surround yourself with people that you not only trust but also with people who would not judge your predicament. If you are around people who judge you then their negativity might get to you which would cause you to feel even worse about your situation, making it harder for you to find a way out. When you fail at something or if you have a certain problem, it is important that you are aware of why and how you failed and if you are aware of how certain problems came about then you will be aware of how to avoid the same problem from arising in the future. For instance, if you are in debt because you borrowed a lot of money from many different people, in the future you will know never to borrow money again especially if you are not sure when or how you can pay it back.